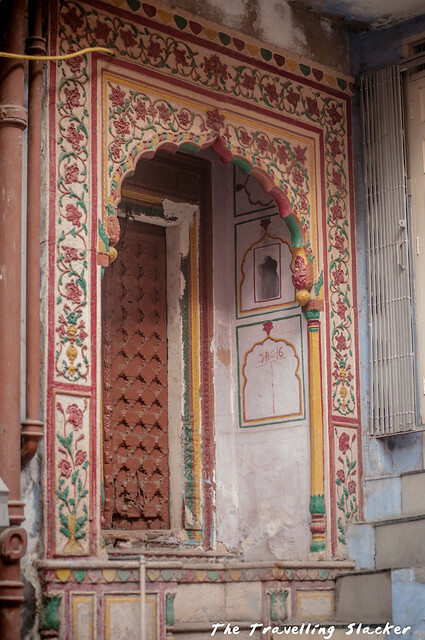 When I first started visiting Old Delhi a couple of years ago, I started with Raziya Sultan’s Tomb. However, I did not even find it on my first attempt. A week later I returned from a different direction and found it with the help of a local guy. 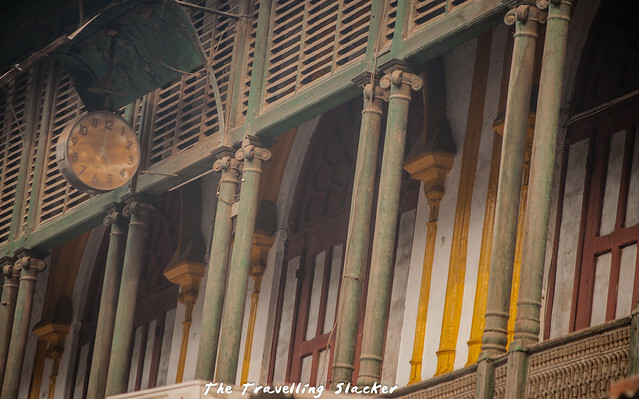 While the history is undeniable, part of Old Delhi’s charm lies in the labyrinthine and mysterious nature of its alleys. 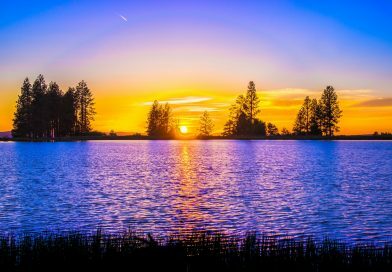 There are far too many of them to be displayed accurately by Google Maps and there are many little anecdotes, myths and urban legends that normally do not make it to history textbooks. 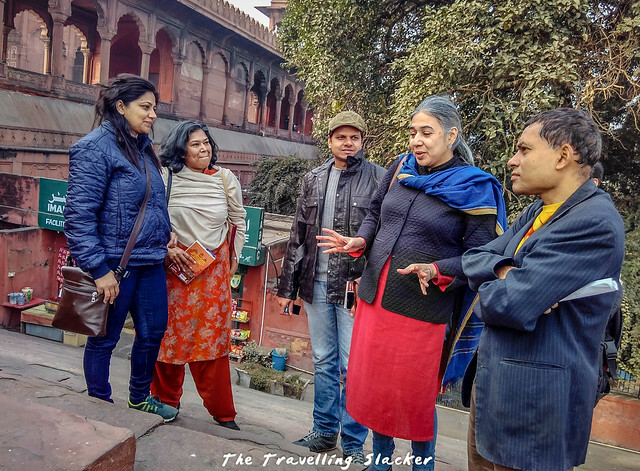 So, when I was informed of this Old Delhi walk, that too by real historians and authors such as the Liddle Sisters, I decided to join immediately. The walk was made possible by Alka Kaushik under the aegis of SALT (Society for Arts & Literature), a Chandigarh based non-profit group interested in preservation and promotion of all manner of vulnerable heritage. 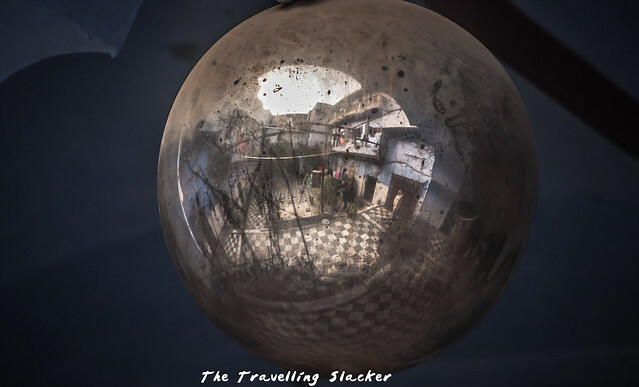 One can also have a look at Alka’s blog for travel writings in Hindi and English. The guides for the walk were Madhulika Liddle and Swapna Liddle. I have been following Madhulika’s blog for quite sometime, mainly for her heritage explorations and writings on classic Bollywood films. But her primary claim to fame is the Muzaffar Jang Series, fictional adventures of a Mughal era detective, set in real locations of present day Old Delhi. The latest book of this series called Crimson City has just released and we all got autographed copies of the book to make the morning even better. 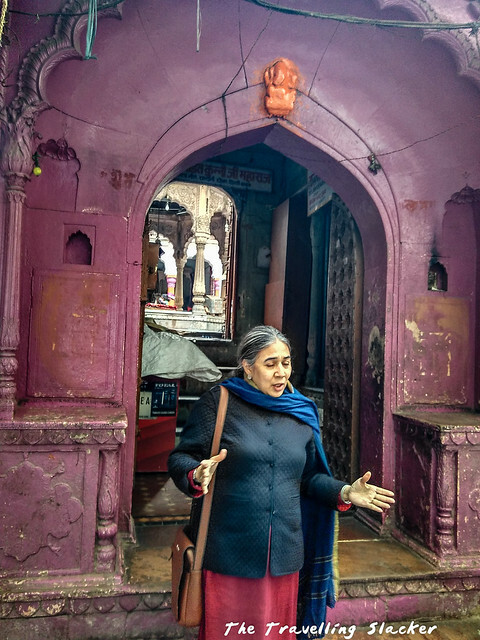 On the other hand Swapna, who is an accomplished historian herself, has come up with the book called Delhi: 14 Historic Walks, a very useful companion for those who want to explore Delhi all by themselves. She also took the lead to the walk as we walked through the locations that are mentioned in Crimson City. The group met just outside the Chandni Chowk Metro Station. After the rudimentary briefing we started walking towards the actual Chandni Chowk, the main square in the middle of the area. 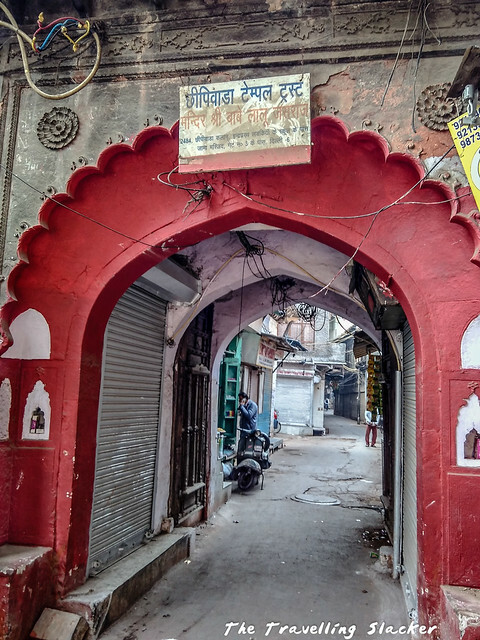 We were told that while this was the original Chowk, the British misunderstood it to be the name of the entire market and thus the whole area came to be known as Chandni Chowk. We also walked by the Town Hall, build by the British after the mutiny. The garden and canals near the hall still suggests the opulence once enjoyed by the area, although the British destroyed most of the historical settlements and paved way for the Old Delhi as we know it today. A constant and intriguing feature in this area are the bird food sellers. 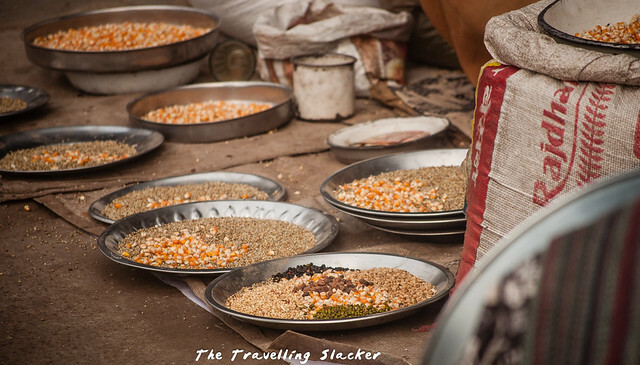 Once can buy a bit of millet or corn to feed the pigeons in the square. 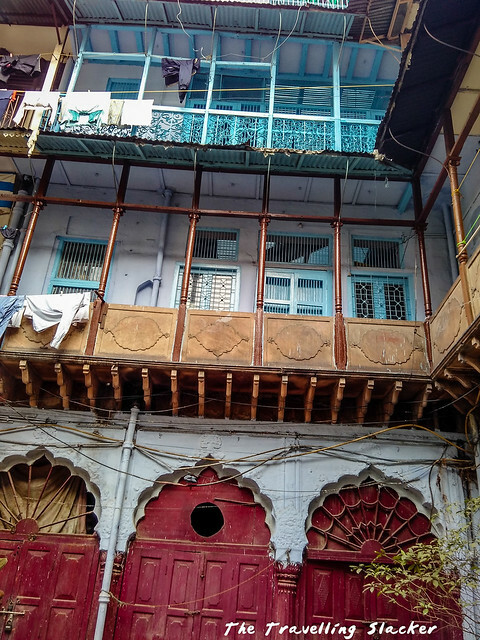 We slowly moved towards one of the better known alleys of the area called Katra Neel and gathered in front of Chunnamal Haveli, one of the rare surviving havelis from the pre-mutiny era. Katra Neel always sounded exotic to me but l’d never really bothered to find out more about it. Finally here I came to know that the name comes from neel (indigo) trade that flourished here at one point of time. 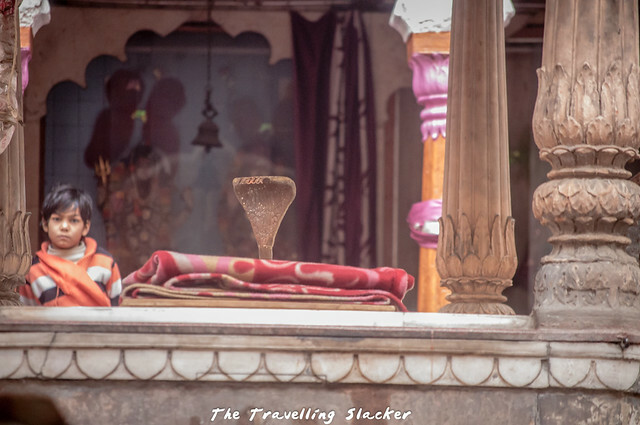 That trade no longer exists but what we have now are a series of small shivalays (Shiva Temples), built for personal purposes although many of them have now become public temples. What is interesting here are the architecture of these temples because small domes over them might actually look like mosques, suggesting a thriving composite culture that has withstood the test of time. 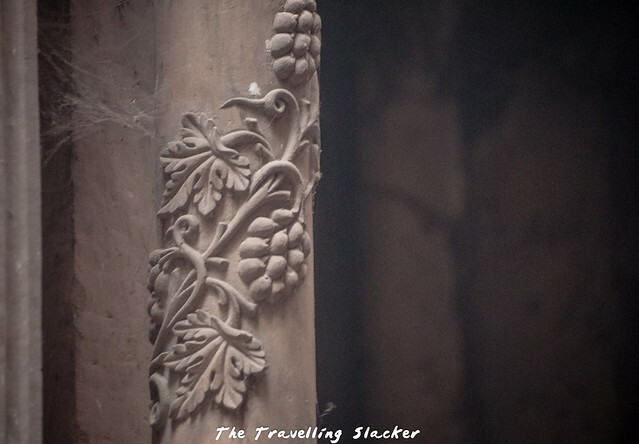 We entered inside a few of the havelis, still inhabited by people, in order to understand their architecture and the purpose of various components. For instance we learnt the word “Otla”, the square platforms just outside the buildings on both sides of the door. These were build so that people can sit for a while and socialize with the people passing by. 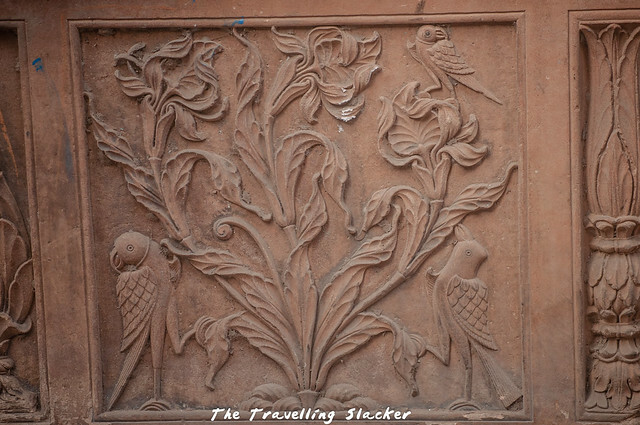 So, in a way, these otlas played a major role in the social life of Shahjahanabad. After Katra Neel we slowly moved towards Kinari Bazaar area and entered a small lane called Nowghara. 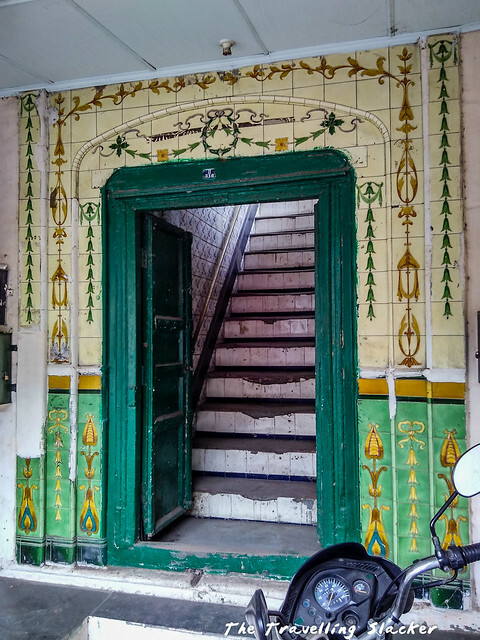 It housed the Havelis of Jain merchants that controlled the jewellery trade of the city and even now, the wealth could be visible in those old but massive Havelis and their colourful doorways expressed their opulence. We also learnt that Kinari Bazaar was earlier known as Dariba Khurd (Small Dariba) as opposed to Dariba Kalan (Large Dariba). The word Dariba comesfrom the Persian of unparalleled pearl (or something similar). 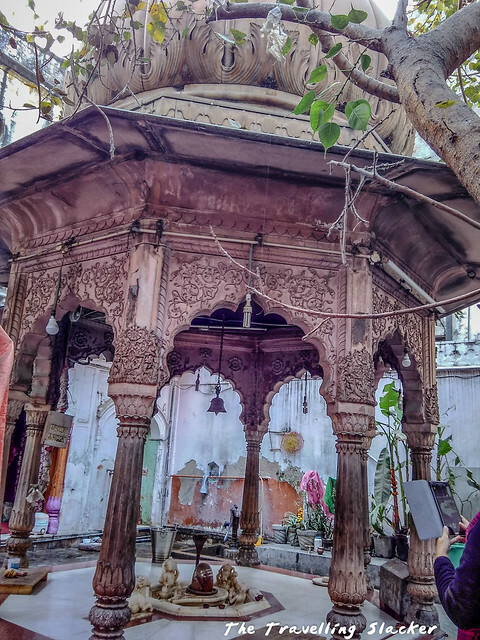 We moved out of Nowghara towards Dariba Kalan but somewhere in between we took a diversion to near Gali Khushhaal and reached a building called Sheehs Mahal. This 19th century multistory building was the original seat of the St. Stephen’s College. I was under an impression that the Old Stephen’s building in Kashmere Gate was the original college building but that turned out to be the second venue which was also abandoned later as the college moved to its present location. After this short detour we reached Dariba Kalan. It was close to 9 am and the streets were beginning to get crowded. So we moved quickly towards the Jama Masjid but not before we stopped near a red coloured gateway called Chheepiwaada Kalaan Gate. 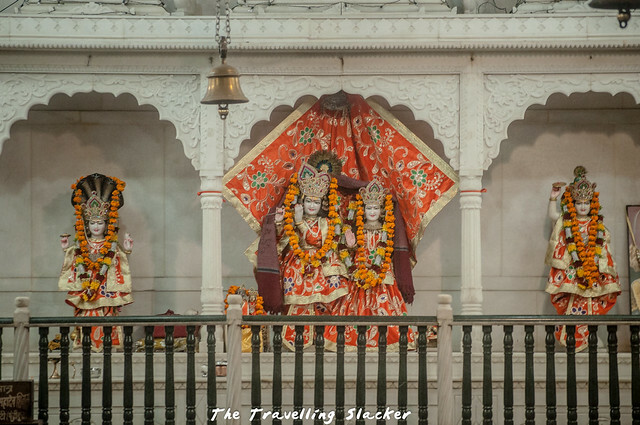 Swapna informed us that it was the gateway to the abode of Ustad Hamid, who was one of the architects of the Red Fort. We also stopped for a while to marvel at the sight of Surajwali Masjid. Unlike the traditional crescent, the sun seems to be the emblem of this mosque. Is that another example of the aforementioned composite culture? I wish the air conditioner hadn’t ruined the view but who can blame them considering Delhi weather. I also took some random snaps along the way. Especially liked the dental supply one, that reminded me of Conrad Veidt’s Gwynplaine. After that we reached the famed steps of Jama Masjid but at this point we learn of the new rules that charge Rs 300 for photography of any kind I side the mosque premises. So, my poverty prevented me from any further photography but the walk continued and the stories did not stop. We learnt to spot the signature of the calligrapher on the corner of intricate calligraphy on the mosque walls and also learnt the story of Sarmad Kashani, a Armenian Jew turned Sufi who was decapitated for heresy by Aurangzeb as his views were too ahead of his time. After this sumptuous dose of history, it was the time for us to part ways. Some of us did stick around for food after this early morning walk and planned further walks. Hopefully, more of them will follow soon. Very well written. It was a fun morning spent productively under the aegis of experts in the field. Wow, I’m in love with so many of these doorways! They’re all so intricate and detailed. What a wonderful walk to take and especially wonderful with such an expert. 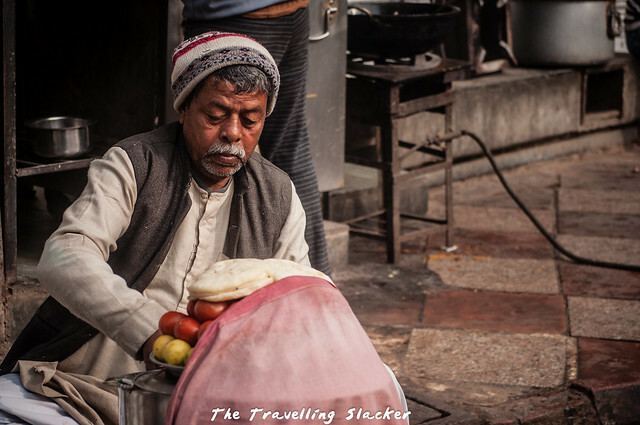 You would definitely need a guided tour through the narrow lanes and confusing alleys of Old Delhi. I think its a pretty interesting idea to enjoy a heritage walk. I belong to Delhi and although I have visited Old Delhi several times (especially Chandni Chowk), I know for a fact a lot of it I have not even seen! And I don’t think its something I’d want to do by myself (I will surely get lost) so a guided tour would be perfect for the area! 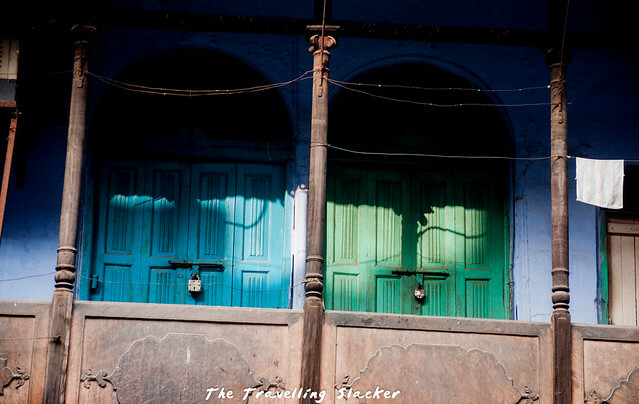 I love the idea of a walking tour through Old Delhi! I’ve never made it to India, but the composite culture is fascinating and your images are gorgeous. I love how you captured the spirit of the area in these shots. Hopefully I’ll make it there someday! 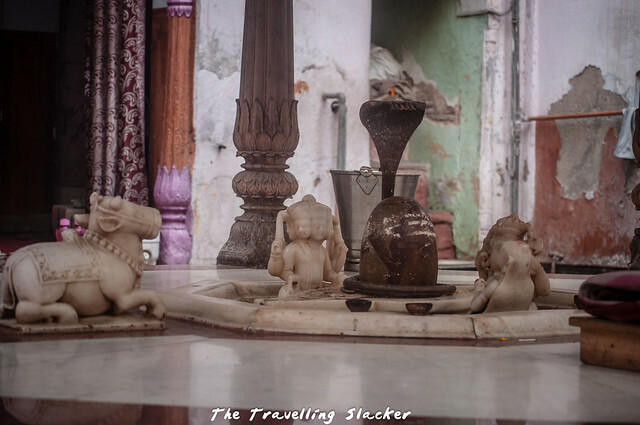 I would want to do all 14 of the Historical Walks through Old Delhi. It looks like such a magical area! Every little part of the walk looks like a work of art: doors, windows, streets. Thanks for sharing your experience and about the book that helped you! 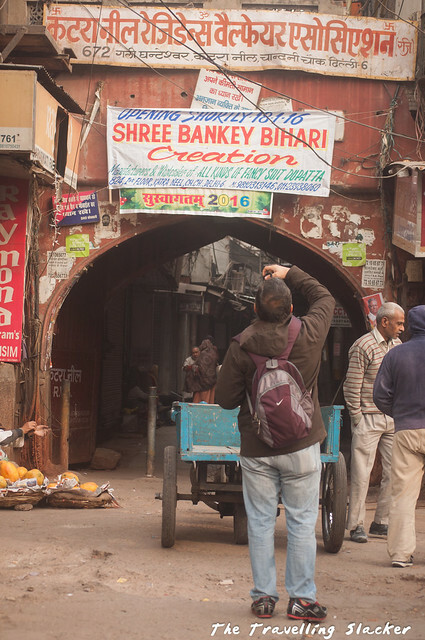 Old Delhi is steeped in history of India, much before New DeIhi was made the capital of Republic of India. I am ashamed to say that I have lived in Delhi for many years and never got to explore these areas. To understand that history in conjunction with the current locale you do not just need a guide but a historian to show you around. In that you have been lucky enough to be accompanied by none o ther than the Liddle Sisters. 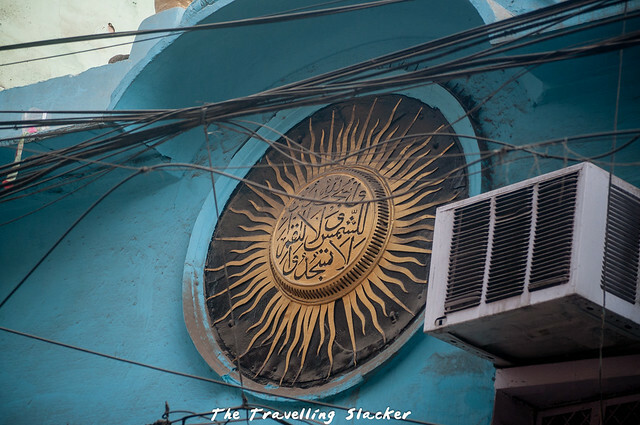 The Muzaffar Jang Walk looks like a great thing to do, I personally love walking tours and how they help you understand the history of a place, and New Dehli is steeped in a rich cultural history that I don’t think I’d ever understand alone! I love all the old back streets. Walking tours are my favorite way to see a new city, and it must have been wonderful to do it with such experts. 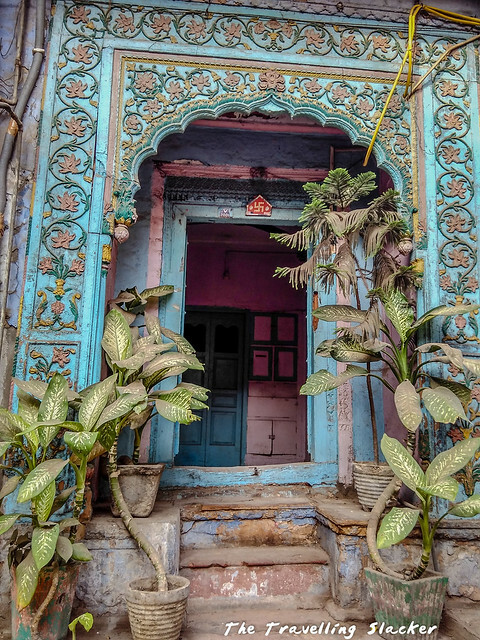 Your images and little details, such as about the old indigo trade, origin of local area names, and the Havelis, painted a good picture of this rich culture. 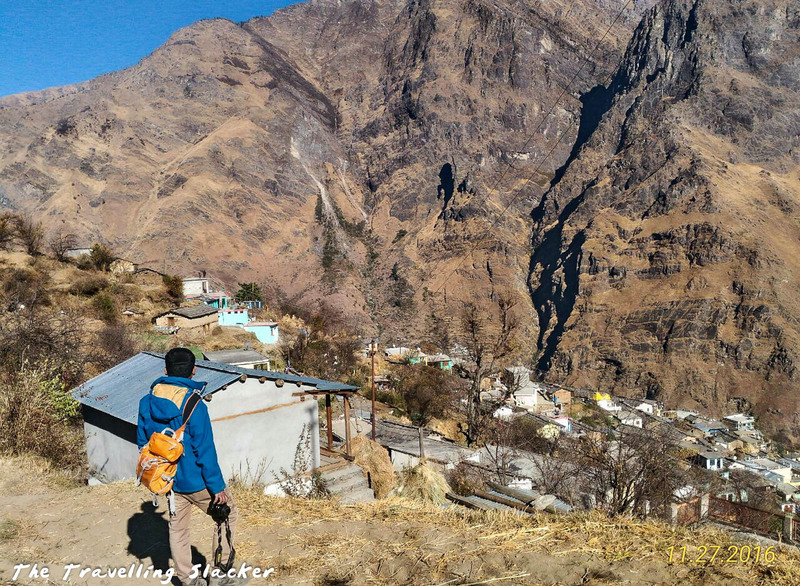 I hope to explore this area myself one day accompanied by Swapna’s book! The Muzaffar Jang Walk indeed looks like a fascinating walk back in history. 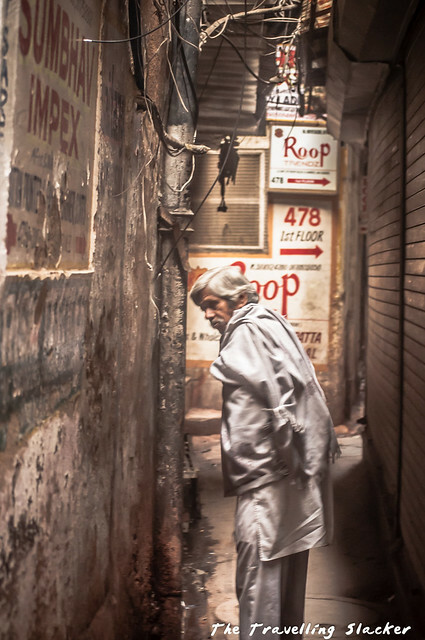 The walk in the intricate by lanes of Old Delhi looks like a great experience. The fact that you were walking with a person well acquainted and knowledgeable of the history of the area makes it all the more interesting. Need to check out this area next time we are in Delhi and not just rush through. 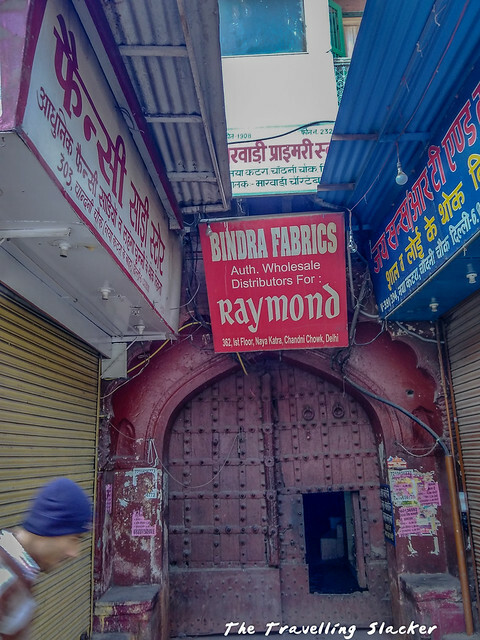 Old Delhi is so much fun to explore. There’s so much history stored there besides the amazing food. Unfortunately, I have always explored OLd Delhi by myself. The Muzaffar Jang Walk looks interesting. It’s always very insightful to have a walk with a historian or an expert in the field. I haven’t seen any of these places despite staying in Delhi and having visited Chandani Chownk several times. But for sure, this can be done only as a guided tour otherwise one will get lost in those narrow alleys. 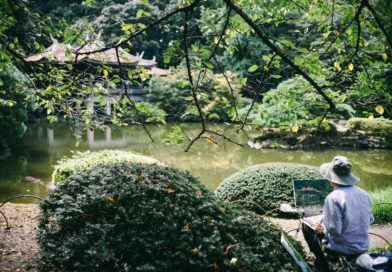 Your pictures are giving the perfect reflection of composite culture. 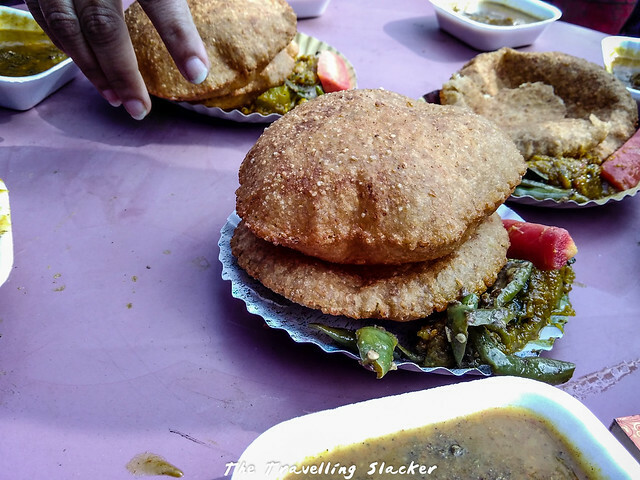 And that Kachori is definitely tempting.